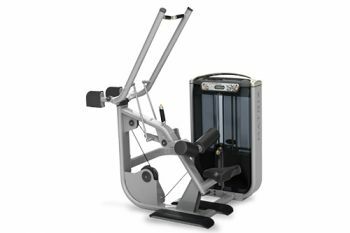 This strength training machine is designed to tone the largest flat muscle in your back called the latissimus dorsi by moving external weights while keeping your body fixed. The diverging arm movement provides a natural path of motion, while the angled seat encourages proper user position. You can also benefit from the easily adjustable thigh pads to provide stability and comfort. You can also track your progress using the electronic counter which displays repetitions, exercise time and rest time.